Growing up reading science fiction and fantasy led naturally to a concentration in that genre, which she continues to champion. She initiated the expansion of the agency into the area of women’s fiction, and has also expanded her genre reach into the thriller and suspense categories. 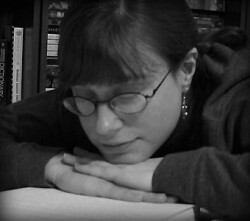 Her current roster includes, among others, New York Times best-selling fantasy writer Jim Butcher, Hugo Award winning science fiction author Elizabeth Bear, USA Today best-selling author Anne Bishop, New York Times best-seller Kim Harrison, evil genius Seth Dickinson, Nebula Award winner Martha Wells, Compton Crook Award winner Nicky Drayden, Nebula finalist Saladin Ahmed, Hugo finalist and dreadpunk author Cherie Priest, New York Times best-selling author Yoon Ha Lee, Icelandic novelist Alexander Dan Vilhjálmsson, and Shirley Jackson Award nominee and debut novelist Tamsyn Muir. She is interested in both new and established writers and is drawn to storytelling that bends or transcends its genre and explores diverse characters, cultures, and subcultures. She is not currently taking on nonfiction, memoirs, screenplays, poetry, picture books, or children’s chapter books. Query via email at query.jjackson@maassagency.com and include your query letter, the first five pages of your novel and a synopsis (1-2 pages) pasted into the body of the email; no attachments. Only queries sent to query.jjackson@maassagency.com are guaranteed a reply. Query letters — up to 3 weeks from receipt. In a land similar to South Africa, twin brothers are beset by powerful forces beyond their understanding or control in this thrilling blend of science fiction, horror, magic, and dark humor—evocative of the works of Lauren Beukes, Ian McDonald, and Nnedi Okorafor. Halmey Dz and her partner Connla Kurucz are salvage operators, living just on the inside of the law…usually. But when they make a shocking discovery about an alien species that has been long thought dead, it may be the thing that could tip the perilous peace mankind has found into full-out war. Hugo, Nebula, and Alex Award-winning, New York Times and USA Today bestselling series, The Murderbot Diaries, comes to a thrilling conclusion. Murderbot wasn’t programmed to care. So, its decision to help the only human who ever showed it respect must be a system glitch, right? But who’s going to believe a SecUnit gone rogue?And what will become of it when it’s caught? New York Times bestselling space opera about thirteen-year-old Min, who comes from a long line of fox spirits. When word arrives that her brother Jun is suspected of leaving his post to go in search of the legendary Dragon Pearl, she decides to run away to find him and clear his name. An adventure with the underpinnings of Korean mythology that will transport you to a world far beyond your imagination.